Angela joined Children's Hospital in 2001 as the Coordinator for the Down Syndrome Program. The DS Program offers specialized services for all children with Down syndrome and their families. Angela works in close collaboration with medical specialists, community physicians, educators and DS organizations. She also runs a DS Program Parent Support Group once a month at Children’s Hospital which is well attended by parents from across the state. Angela was the recipient of the 2008 Allen C Crocker Award of Excellence from the Massachusetts Down Syndrome Congress for her work in advancing the DS movement in Massachusetts. 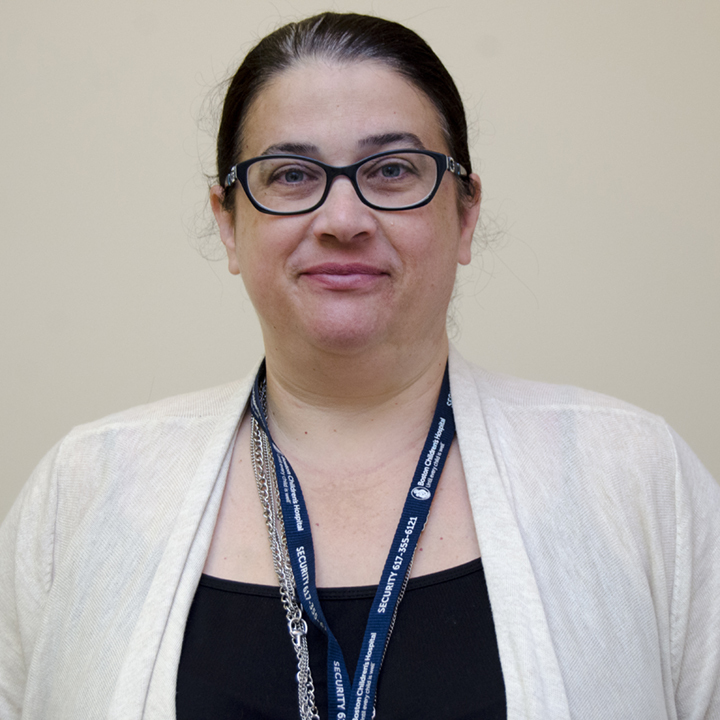 Angela is the coordinator of the Linking Hands Program which has been developed to teach medical residents what family life is like for children with special healthcare needs and their families. In this role, Angela works with the Advocacy Clinic Training Project and LEND program to send their participants to homes of children with special needs. Each year, Angela coordinates a noon time conference for residents to learn more about the parent experience. As a mother of a son, who has Down Syndrome, Angela also does speaking engagements at local universities to share her own personal story and perspective of life with her son with future doctors, geneticists, and educators. Angela also serves on committees in her community to work on improving educational opportunities for children with special needs.